Unfortunately, negative reviews happen to us all, and seeing a customer say bad (and often hurtful) things about your business can really sting. We all work hard to make our businesses the best they can be so the idea of a customer disliking what you have to offer can be painful and difficult to deal with. However, I’m going to show you how negative reviews don’t have to be so bad after all and that there is in fact a silver lining to every cloud. Let’s go! 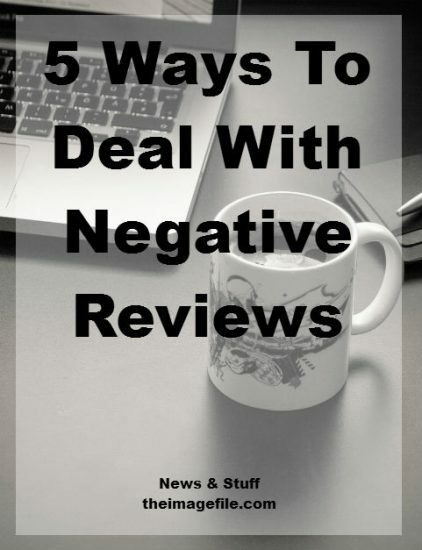 Firstly there are five important things to remember about negative reviews. Your business is never going to be right for everyone, and that’s a good thing because at the end of the day you can’t be right for everyone. For you to be the best choice for somebody you’re going to have to be the wrong choice for somebody else. It’s just how the world works. Often a negative review is simply a customer discovering that your product or service is just not the right fit for them and that’s okay. They say that for every customer that complains, twenty-six remain silent. Therefore receiving a negative review is a great gift, because you have the opportunity to make changes and ultimately make a lot more customers happy. We all screw up from time to time. It happens. However, when it happens an interesting opportunity presents itself: if you resolve the mistake quickly and effectively you can actually build stronger relationships with your clients. Good customer service isn’t about never making a mistake, it’s about creating opportunities from your mistakes that build better relationships with your customers as a whole. Everyone has a bad day from time to time and one of the most common ways that stress or upset manifests itself is through displaced anger. On our bad days we’ve probably all been a bad customer. Sometimes when you’re feeling attacked or offended by a client, it’s best to simply take a step back and know that their behaviour might have nothing to do with you. THE CUSTOMER MIGHT BE A SERIAL COMPLAINER. Make personal attacks on a person rather than a problem. Send non-constructive feedback, often intending to humiliate and upset the company representative they’re dealing with. These negative reviews you just have to deal with and move on. Often when we receive criticism our automatic response is to hide that review. However this is the wrong approach. The negative review is not the problem, the review is the result of the problem and that’s what you need to focus on. Listen without interrupting. Let the customer tell their entire story without you butting in to defend yourself. Sometimes, people just want someone who will listen and care. Empathise with them. Convey that you understand how the customer feels rather than showing them that they are wrong. Use phrases like “I completely understand how frustrating that must be for you” and “I would be frustrated too”. Make your apology sincere. Whether it was your actions that upset the customer or something out of your control you can still apologise sincerely. Resolve the issue effectively. Always aim to resolve the issue properly rather than quickly. Most clients would rather wait an extra ten minutes and have a proper resolution the first time round than be fobbed off with a fast but half-hearted solution. Diagnose the origin of the problem. Once the problem has been sufficiently resolved work out why the mistake occurred without blaming others. Was it lack of communication? Were mistakes made at the lab? Is your description of the product not accurate enough? Focus on fixing the original problem so that it doesn’t occur again.